Italian Coffee Bar, featuring coffee, pastries and gelato. Gourmet Pizza Restaurant featuring hand tossed pizzas, fresh salads, and craft beers. Independently owned Italian restaurant. Serving NEO since 1957. Regency is a retail wine shop and wine bar. We have wines available in all price points, starting at 5.99. We serve wine, liquor, beer and food. Our food is prepared with high quality, fresh ingredients and made in house. Our atmosphere is warm and cozy with soft seating. Curves is a facility specially designed for women featuring a 30 minute total body workout that is fast, fun and safe. At Curves you get strength training, cardio, stretching, individual coaching, classes and much more. At Curves we are committed to helping women lead healthy lifestyles. Our goal at HealthSource of Fairlawn is to restore life to the people we encounter through connection, education, chiropractic care, rehabilitation, and nutrition. OnPoint performs physical therapy evaluations and treatments. On Point specializes in dry needling. A technique using acupuncture needles to release trigger points in muscles. It is highly effective for a variety of musculoskeletal injuries including strains and spasms. It usually takes one to two sessions to relieve symptoms. Lifesource Yoga is Akron’s most diversified community yoga studio. To us, yoga is more than an exercise - it’s a way of life. Creative Motion Studios offers dance instruction for all ages in many styles of dance including ballet, jazz, tap, lyrical, hip hop, and musical theatre. Fitness, early childhood, and competitive programs available. 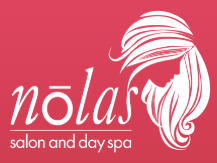 We are a premier Full Service salon and day spa.